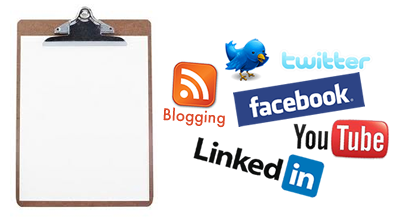 2011 will be a crucial year for social media and SEO. Here’s my thoughts on what’s going to be hot or not split down into individual, companies and industry. The main difference is how SME versus Large companies are using social media in their businesses. Smaller and medium businesses (1 – 49 employees) feel that social media has be responsible for creating or helping create sales or new business. LinkedIn is a more important business tool to small businesses which is reflected in the fact that more of the key people within a small business are promoting themselves on LinkedIn compared to a medium or large organisations. Whereas larger companies (50+ employees) are not promoting as much on LinkedIn, nor are their key people actively using LinkedIn. Companies are using tools such as blogs, Twitter and LinkedIn more than video content (YouTube). Which makes sense as there is more investment required to creating a professional video compared to setting up a blog. Companies overall are using social media to boost their PR activity with 75% respondents said social media had been responsible for creating positive PR about the company and 40% saying social media had helped mitigate any PR problems. Companies are promoting their social media sites on their websites with 55% respondents are linking their social profiles online on the home page of their website and 30% saying they have a dedicated page on their site for ‘community’ aspects, which sign-post people to the various sites. This research paints a picture that Yorkshire companies that are engaged with social media as a key business tool are finding social media helps create or contribute to finding new business. Companies are also using social media to boost their PR activities and feel that social media has helped mitigate PR problems. What do you think? How do you use Social Media in your business? Are entrepreneurs and SMEs set to embrace social media more than big business? Earlier this year I presented at the Art of Digital along side representatives from Tate Galleries and Liverpool Philharmonic Orchestra. At the time they both commented that there was a trend to develop content where your audience resided on the web.